Today just wasn’t Barça B’s day. The reserves might have dominated for 90 minutes in the Catalan derby against Reus, but they just couldn’t find the net. Meanwhile the visitors got off the mark early thanks to a ninth minute goal from Máyor and defended that lead intensely from then on. 2,757 people braved the lashing rain to witness new manager Garcia Pimienta’s debut at the Miniestadi, but the result was the wrong one and his side are now six points adrift of the survival zone with just four games to go. 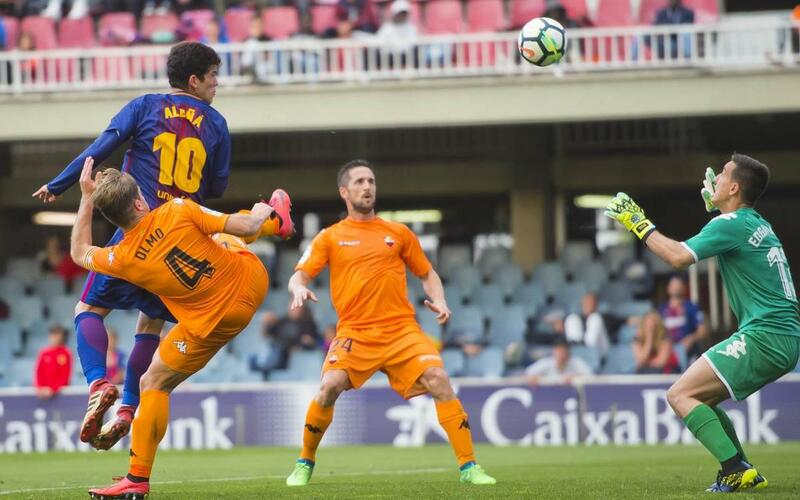 Especially after the break, the game was a monologue of blaugrana attack, with all of Monchu, Aleñá and Palencia almost inexplicably failing to find the net as the chances came thick and thin. And with just seven minutes to go, Marqués looked to have scored from an acute angle, but the ball skimmed off the post. Barça kept piling forward, and Ballou’s last-minute diving header was the final chance to at least salvage a point, but yet another chance went begging.